The area was mainly pasture until the end of the 19th century when the town bought large areas of land in Kiesilä and Maaskola. Inhabitation was still scarce at the turn of the 19th and 20th century and it was mostly centred around Pietarintie road. 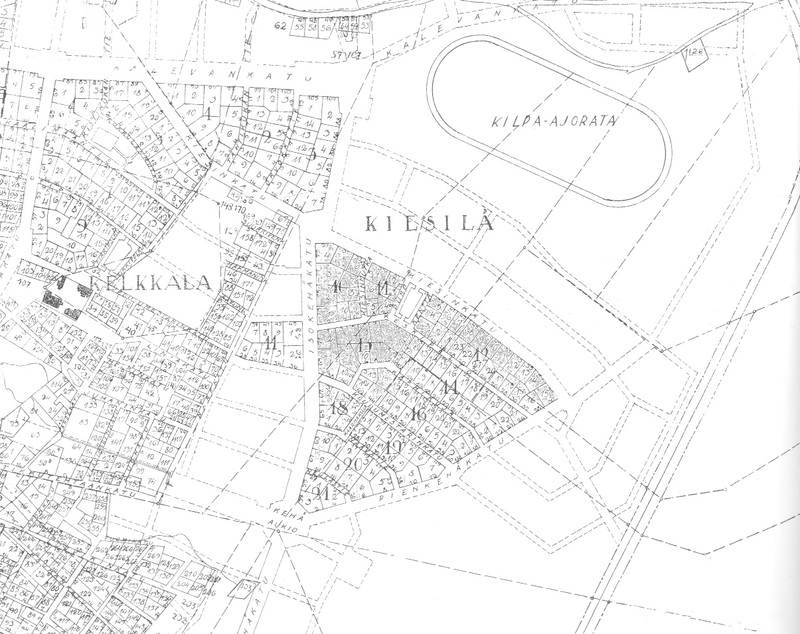 The areas of Kiesilä and Räikkölä were incorporated into the town in 1928 when building of new planned plots progressed fast. Town planning was made by Otto-Iivari Meurman with the aim to fast connect the areas to the water, sewer, electrical and street networks. An agricultural exhibition was organised in the areas of Kiesilä and Räikkölä in 1932. All buildings and other structures were built for the exhibition. The Finnish Broadcasting Company also had a radio antenna and broadcasting station in the area. The station started the radio broadcasts on 1 June 1931. Its power was 10 kW and wavelength 569.3 metres.